Recently, EKN Research hosted a dinner where omni-channel, analytics, e-commerce and store operations executives from leading retailers in Columbus, Ohio gathered for an exploratory discussion on using analytics to drive a richer customer experience in store. Our goal was to understand the keys to deliver a differentiated experience, deepen the customer relationship and achieve their objectives. Genuine intimacy and personalization delivered by associates that have deep product knowledge and shared passion with the customers were important. Local wine shops and farmer’s markets that were members of the community and cared deeply for their product differentiated themselves. Associates that shared a passion (e.g. running) drove experiences and loyalty that were memorable beyond the transaction. Convenience, efficiency and effectiveness were hallmarks of the most common retailer cited – to nobody’s surprise despite their lack of stores – Amazon. As the discussion continued, we quickly realized that there are many potential objectives. Are we trying to increase traffic? Improve customer service? Increase conversion? Engage with customers? Communicate a new product launch? Are we trying to empower our customers, associates or partners – or all of them? Analytics (in store or elsewhere) are useless without a specific business objective, a decision that needs to be made or an action that must be taken. We need to first define our goal and understand the desired outcome. For example, should we seek to deliver genuine intimacy and personalization (which takes time) or deliver a convenient and efficient transaction to the customer? Can we do both? We cannot determine how to deliver this richer customer experience without understanding context. Defined as “the circumstances that form the setting for an event…in terms of which it can be fully understood and assessed”, understanding the context of a specific customer for a specific shopping journey will enable us to deliver the customer experience that they expect at that point in time, engendering deeper loyalty and satisfaction. This is no easy task. It is made more difficult by the fact that context can be different for the same customer at the same retailer, even shopping for the same product! Is she shopping for herself or for a gift? Is she just gathering information or is she ready to buy? Is she a repeat or first-time customer? What time, day, date, or season is it? Stores remain the hub of the overall retail experience yet lack the metrics and analytics of the digital experience. Investing in processes and technology that help us understand the many dynamic contexts within which our customers live, both in-store and online, will help retailers be more responsive and effective. Sometimes we’ll deliver a highly personalized, highly consultative experience. Other times we’ll provide curb-side BOPIS delivery. Sometimes we’ll call the customer by their name and other times we’ll respect their anonymity. 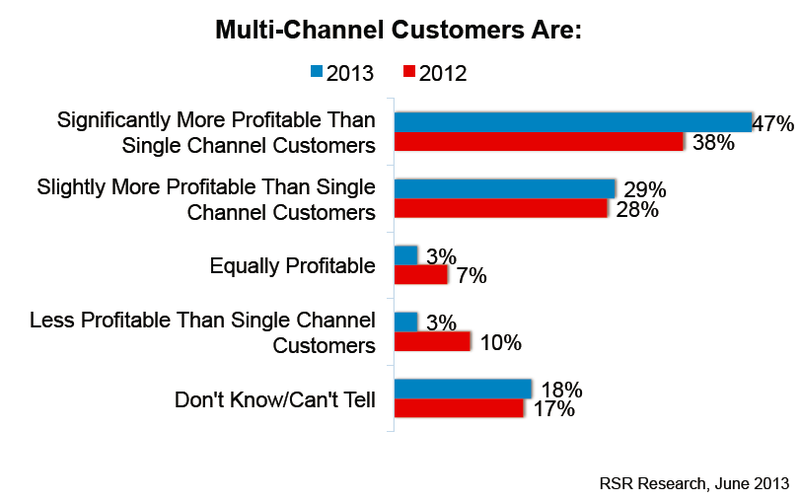 Each time may leverage a different tactic or channel but will deliver a satisfied customer.